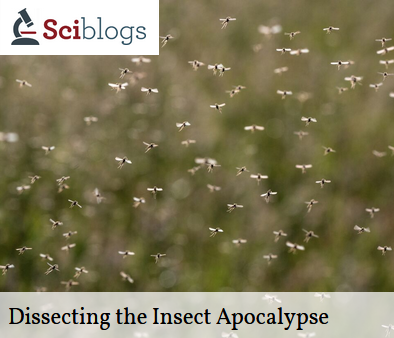 I’m sceptical about some of the research being used to support media headlines proclaiming the imminent extinction of insects. I wrote a blog for the SciBlogs platform to take a closer look at the methods of some of this work. Image copyright The New Zealand Institute of Plant & Food Research. Used with permission. I spoke to Jessica Rodrigues and Martin Heffer from Plant & Food Research about how I got interested in science and the advice I would give to young people thinking about their careers. Listen here. 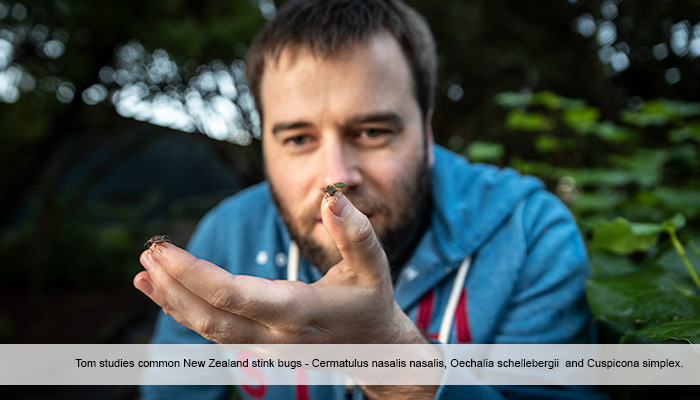 My Masters research was featured in the Western Leader (and published on stuff.co.nz). I chatted to Alison Ballance from ‘Our Changing World’ about my masters research. 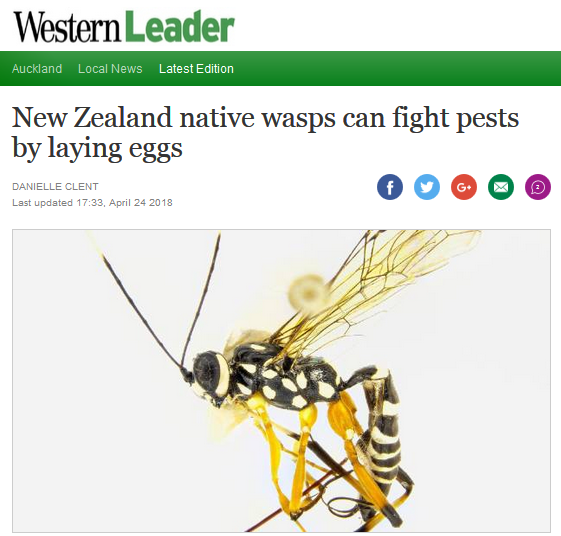 We talked about New Zealand’s misunderstood native wasps and the value of taxonomy. Listen here. I wrote a piece for Newsroom about BMSB, and how scientists in New Zealand are responding to the threat. My species description goes global! 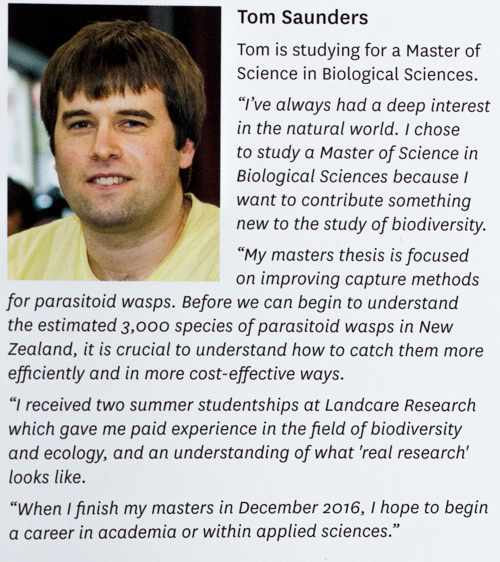 My species description gained worldwide media coverage after being published in New Zealand Entomologist at the end of my masters research. Special thanks to my supervisor Darren Ward (Landcare Research), and Anne Beston (University of Auckland Media Relations). 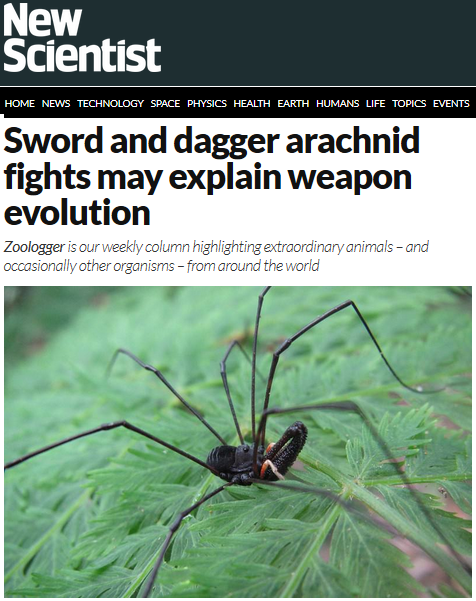 My images have accompanied a piece about Dr Christina Painting and her work on Harvestmen behaviour in New Scientist and The Mail Online!